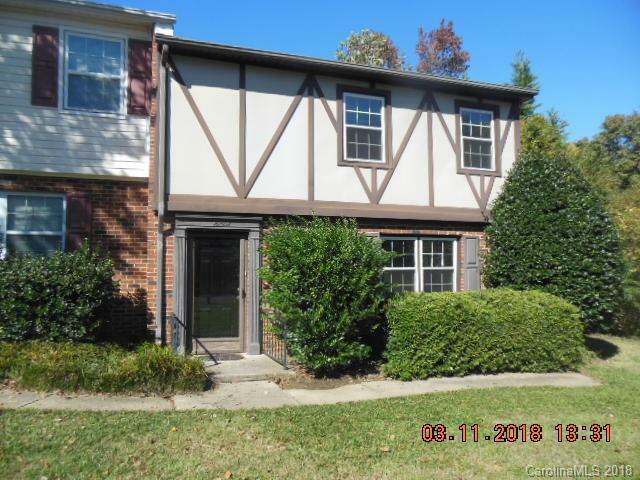 End unit in convenient community near I-485, Carolina Place Mall, and Atrium Health's Pineville hospital...white appliances, newly installed carpeting and vinyl flooring, pre-finished hardwoods in family room area. This condo has been tenant occupied for about 20 years, and the owner has chosen to offer it for sale.. Seller disclosure reflects that owner is unaware of any issues with the home at this time as she has not occupied the home in many years. Seller is offering the home in "as-is" condition with no repairs. Sold by Red Door Realty.